Holistic approach to communication disorders. I offer a comprehensive new therapy (Valsalva Stuttering Therapy) to improve fluency by controlling the neurological and physiological mechanisms that cause stuttering blocks in the most common type of stuttering in adults and teens. I provide stuttering therapy in person at a location in Bala Cynwyd, PA and over the Internet by webcam. Jessica Klesmer M.S. 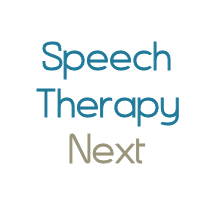 CCC-SLP specializes in pediatric speech therapy and has a true passion for helping children to achieve his/her potential. She has experience in treating a variety of conditions including apraxia, autism, articulation disorder, language disorders, fluency, and feeding disorders. Amy O'Connor is a private Speech and Language Pathologist and Reading Specialist in Moorestown. She has worked in both the private and public school setting and specializes in working with articulation, language, stuttering, reading, and dyslexia. Amy has experience using Orton-Gillingham and Wilson Reading System.